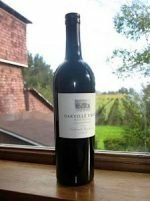 Tim Borges of Portalupie Winery has known Jim and his brother for over 30 years and had the good fortune to start working with Dolinsek Ranch with the first vintage of Zinfandel in 2009. In 2013, Portalupi started purchasing the entire crop of Pinot Noir. Portalupi has been producing award winning Old Vine Zinfandel and Pinot Noir since. Wild strawberry jam aromatics with smoky, briary and raspberry flavors, finished with a burst of blueberry. 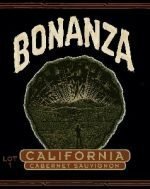 Cultivated on Mendocino County's Anderson Valley’s high eastern ridge, this remote vineyard is full of chunky, broken rock in thin, powdery soil similar to a Goldridge classification. The Jackson Estate Outland Ridge 2016 Pinot Noir's vines strain to cling to the ridgelines yet produce deep profoundly complex and age worthy wines.